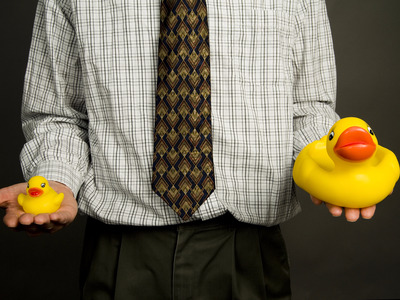 ShutterstockPleats are more distracting than yellow rubber ducks. There are a lot of ways to go wrong with pants. It’s common to buy the wrong size, fit, rise, or leg opening. But one thing no man should do under any circumstance is buy pants with pleats in them. 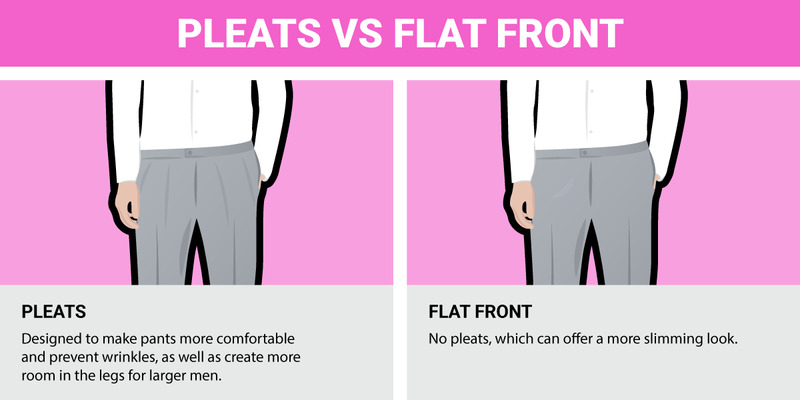 Let’s back up: what is a pleat anyway? Pleats are sewn-in folds of fabric on the front of pants, along the seam where the belt line and the leg meet, that cause it to drape differently down the pants. This allows more room in the top block of the garment while causing it to flair out down the leg. This is beneficial to a larger man who needs more room in the top block, but it can cause a skinnier man to look overwhelmed and bulky. Even if you are larger, pleats have a tendency to exaggerate that with large folds of fabric. 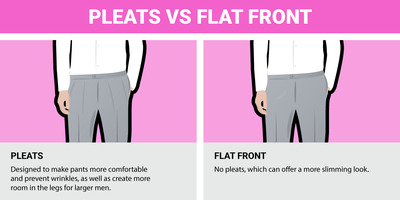 There is an incredible amount of evidence that pleats are terrible. It was even named the worst kind of pants a man can wear in an r/AskWomen subreddit thread, where Redditors can use gender symbols to signify that they are either a man or woman. Pleats earned 318 votes to come out as the worst. Pleats can be done well, however. The Wall Street Journal ran a report in October 2015 that claimed pleats are “back,” citing it as a pushback to the extremely slim flat-front styles that are more common today. And we’ll admit that, when styled well, single-pleated pants can add interest to an outfit and give it a vintage, early 20th-century vibe. But while the ultra-slim look is becoming less and less common today, I doubt we’ll see pleating come back in a meaningful way. Sure, some of the more “daring” fashion-forward men may play around with the look, but pleats are just way too frumpy to ever be in the spotlight again. We say it’s safer to just stay far, far away from pleats. It’s for your own good. For more on how to buy the perfect pair of pants, check out our slideshow of graphics on the subject.